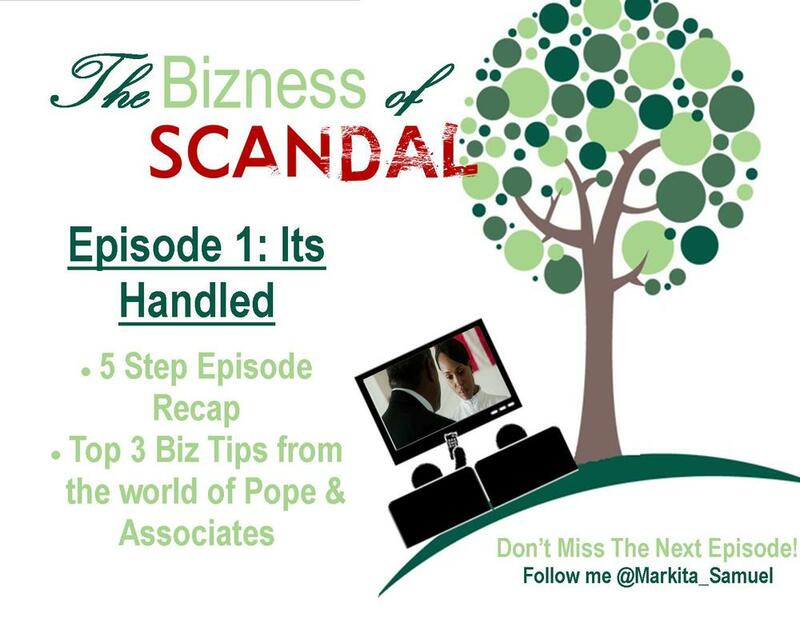 The Biz of Scandal: Episode 1 - Its Handled! So after MUCH anticipation the first episode of Scandal aired to record numbers! And Gladiators everywhere (what the main character Olivia calls her team and now what devoted fans call themselves) rallied around TVs and Twitter! So here's what happened! Olivia's Dad is CRAZY! - So at the end of Season 2 (Side Note: You MUST watch every episode of the previous seasons to get the overall intense drama of the show. Kinda like 24) we found out the mysterious and scary D.C. puppet master of B613 (a group of secret CIA, Black Ops, and super spy killing machines) is Olivia's father! Talk about awkward family gatherings... So he is at the scene when the press hound Olivia about her affair with the President and whisks her away to tell her she needs to leave town yelling, "You opened your knees and gave it to a man with too much power.” Olivia, ashamed and scared of what she know will happen to her reputation and career seemingly follows his advice but then gets back to being the Gladiator we all love and stands up for herself and prepares to fight! The Negotiation - Olivia pulls her last trick and uses "Providence." What is Providence you ask? It something every girl needs in a pickle! It was the secret code word to give her access to the President in a secret bunker to hash out a plan. No press, no staff, no witnesses. But they're not alone! She also called in the First Lady to the show as well! The three of them proceed to negotiation one of the most awkward crisis management plans ever seen on TV, how to address the affair between Olivia and the President without making the First Lady look completely like a fool. There are jabs and name calling but they come up with a reasonable and believable plan and the moment ends with Olivia getting a brief but much needed cry into the President's arms before going back out to handle business. The Leak & This Means War! 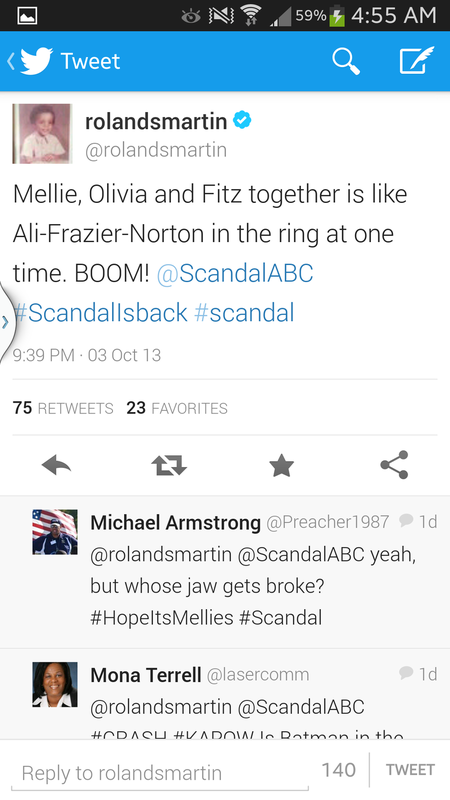 - So why would Mellie go through all of this? Because she figured out the leak. President Fitz leaked Olivia's name through a secret agent to a low level reporter because he wants out and will do ANYTHING to get there! Ever since his near fatal shooting during the first season President Fitz has decided that his first priority is to divorce Mellie (his trophy wife) and marry Olivia (his true love) because life is too short! Mellie knows this fact all too well and is desperately trying to keep Fitz in the White House AND married to her! So now they're at war and we have a long season of battles to watch! Know the truth about your situation before anyone else can tell you! - From scene one Olivia knew her options and how the press and White House would treat her and that's why Pappy Pope's horrible idea started to sound pretty good... In business you must be honest with yourself about EVERY situation so you can make the best decision. If you are delusional or unclear that will cloud your judgement and ultimately affect your success. It does NOT mean you will always be right it just means you will make the best decisions given the information you had at the time and that's all any of us can really do right? ALWAYS have options - Olivia knew that she had one last Ace card to pull before she could call uncle and that card was call Providence. In business if you see yourself with no options take a step back and look again. You may not like it but you are still in control of how "bad" a situation can be and with that you can keep your power, perspective, and oppotunity for success. Realize life and business is about the overall war not small battles - What we saw in episode 1 is one of many battles over the control of the White House and ultimately the lives and happiness of Olivia & Fitz. Fitz calculated the entire plan (except clearly Mellie's level of crazy) because he's playing to win the war not this battle. He knew as long as Mellie could leak Olivia's name she had power. Now she doesn't. In business realize you have to make decisions that will help you arrive at each level of success during the duration of your business. Pick each battle carefully and play for keeps! Until the next episode keep on your straight path to success! tagged with Scandal, Business Tips, Funny! We respect your privacy so there is no sharing nor spamming!